Offering caring customer service, our award winning staff will creatively frame your artwork, awards, historic documents, sports collectibles, photos and just about anything else you can think of to meet your individual taste. 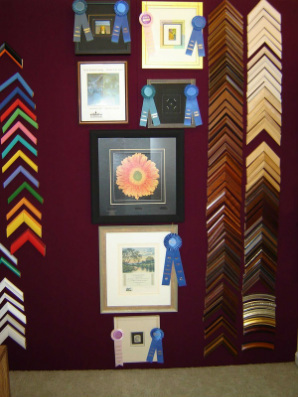 With over 1300 beautiful custom frame mouldings on display, we will guide your selection to best fit your needs. 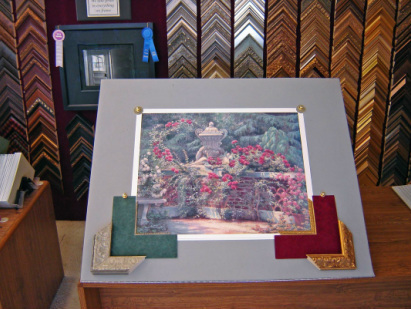 Let our experienced and creative design experts work with you to create a framing treatment that will grace your home or office for years to come.